Newly added imperfect urethane eyes from my collection are now available at the shop. 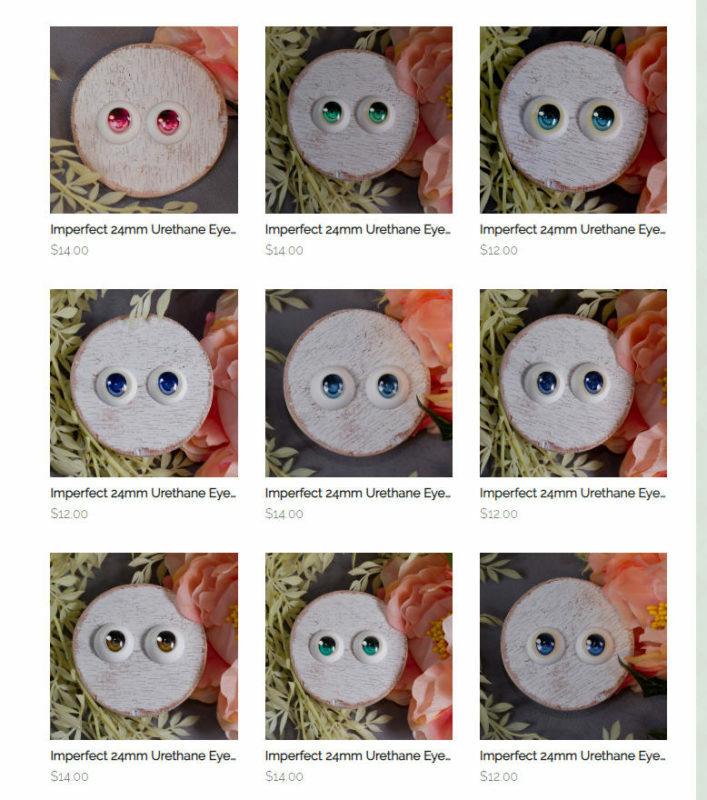 Quantities and styles are limited, so if you’ve been waiting to get some of these eyes this is the time! As usual, the imperfect eyes are B-grade due to small flaws/imperfections- I still use eyes like these, but they aren’t for perfectionists. See what’s available on the Storenvy shop here.